There are literally 100's of different deer stand styles on the market today from many different manufactures with many different price points. So how does the average hunter decide which stand to buy? The answer to that question depends on many factors and as you may already know, or are soon discover, you may often need more then one type of stand depending on the areas you plan to hunt. 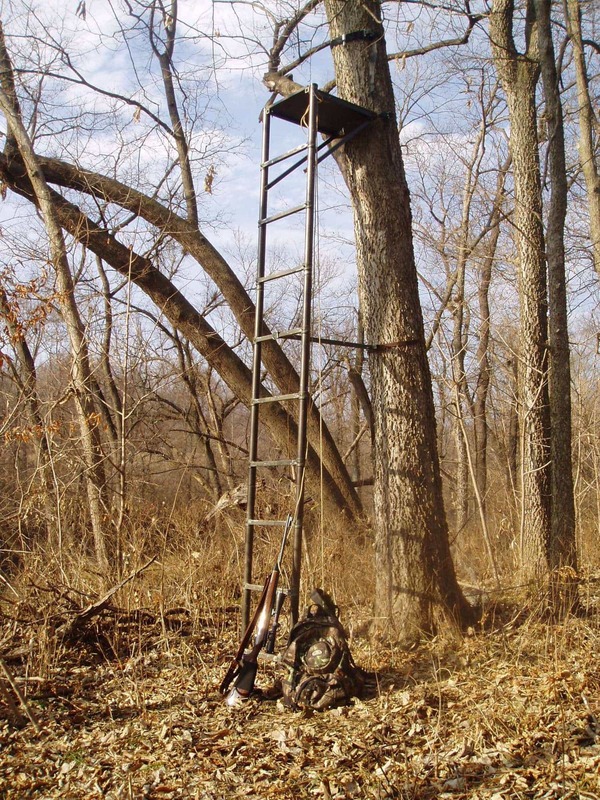 A ladder stand is a popular choice for hunters that are planning to hunt in the same spot for a extended period of time. Ladder tree stands typically include the ladder, platform and seat in one integrated package. Ladder stands are typically between 12 to 20 feet in height. Ladder stands are easier to climb into then hang on or climbing stands and once in place allow the hunter to climb up and down quietly. 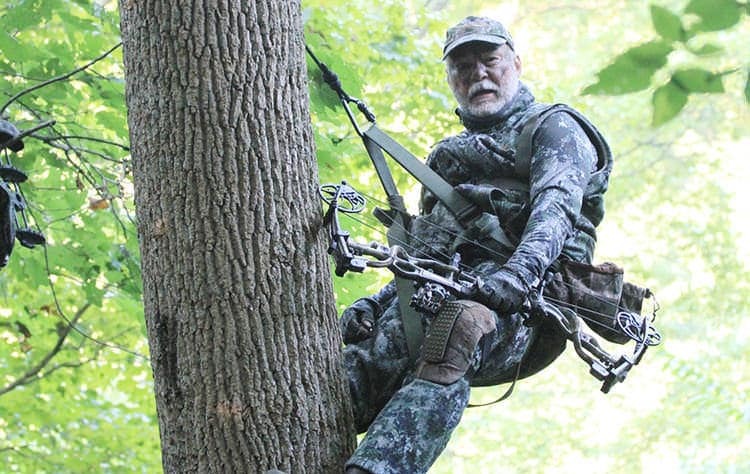 Ladder stands are made in models that seat one or two hunters and are a popular choice for hunters that are teaching young hunters the sport as it allows both new and experienced hunter to sit by each other for the hunt. Ladder tree stands usually do not require the hunter to damage the tree as they typically attach to the tree with a few ratchet straps. One thing I don't like about ladder stands is the fact that it is hard to set up in trees that are not really straight or have large branches on the bottom. Ladder stands are ideal for trees that have a long straight trunk so that nothing is in the way of the ladder. 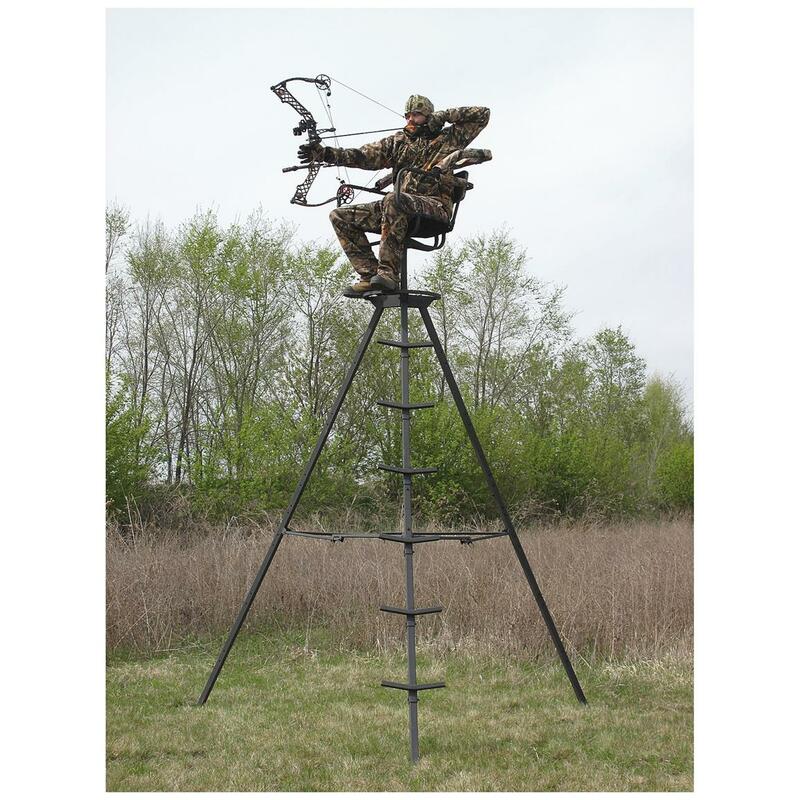 The climbing stand is the one of the most portable deer stands on the market. These stands weigh in between 12 to 30 lbs, depending on the type of material the stand is built out of, and can easily be carried in and out of the woods with backpack straps. Climbers allow a hunter to move to new locations, adjust height and the direction the stand faces quickly and easily. The down side to climbing stands is the tree needs to be reasonably straight free of branches up to the height you want to climb and big enough to support the stand (but not to big so you can't get the stand around the trunk). Climbing stands are ideal for the hunter that hunts land that requires you to remove the stand when not in use or to try new hunting areas. If I could only purchase one type of stand a climber would be it. The ability to adjust on the fly outweighs the fact that I have to "climb" up and down every time I need to get out of the tree. When choosing a climber consider the hush factor mentioned above. The Tripod Stand really isn't a tree stand at all. The tripod stand has 3 legs, a ladder, a seat and platform and this stand can be set up on relatively flat terrain with out trees. Tripod stands are used in fields and areas where a deer hunter needs a good view of the surroundings but the habitat doesn't have trees large enough to support a traditional tree stand. Tripod Stands are typically the heaviest stands on the market and are less then ideal for set up and tear down on a daily basis but for some hunting situations these stands are ideal. When setting up a tripod stand try and set up so that you have some sort of structure behind you that breaks up your silhouette such as small trees, hills etc. Hang-on stands are a bit more difficult to set up but allow a hunter to set up in trees with a lot of branches or odd shapes. Hang-on stands require hunters to use some sort of ladder, climbing sticks or screw in steps to access the stand. I like this type of stand when there are mature trees around with lots of big branches. The hang on stand allows me to scale the tree and settle in to a large tree that breaks up my silhouette. Hang-on stands are typically the lowest priced stand and weigh from 12 -24 pounds. These stands don't typically have any type of rail around them so they are not for the hunter that is not comfortable with heights as you really feel like you are "hanging out" on a small seat and platform. 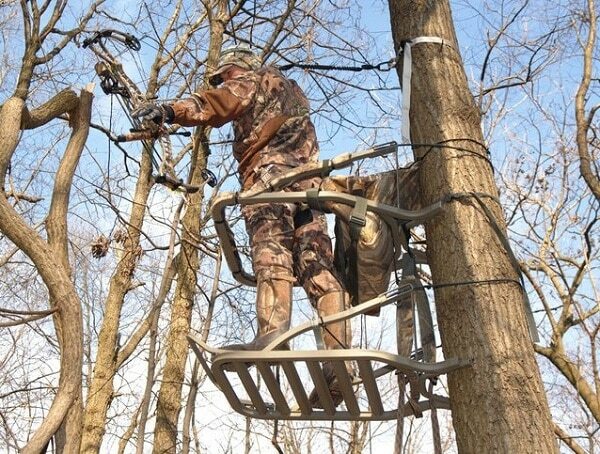 I have seen a few of these treestands at hunting shows but have yet to try one. 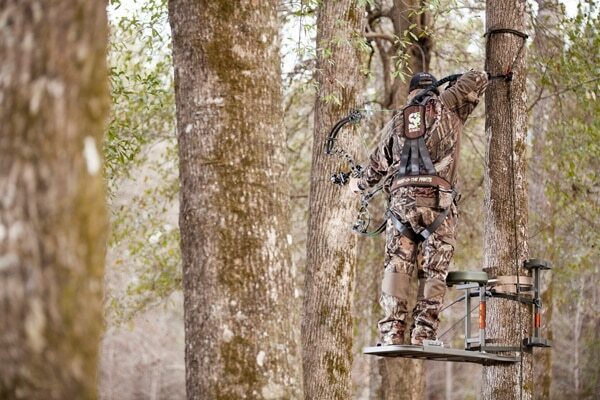 The basic premise behind the tree sling stand is a fully body harness that hangs you from the tree. I guess this approach is the ultimate in portability, but I would think that this type of stand would be hard to pull a bow back in. The photo on the left is from a company called " TreeSuit"--"Looks can be deceiving. This is the single treestand that replaces all of your hang-on's and climbers as well as the work that comes with carrying and hanging them.We guarantee the new Treesuit to be more comfortable, easier to use and better to shoot from than your conventional treestand or your money back" For more info see www.treesuite.com If you have used this type of stand or know of some other similar stands please use the comment section below to tell me about it. Growing up in the north woods as a young boy on a tight budget I built many homemade treestands. My stands typically involved 3 trees growing closely together and a sort of reverse tripod stand fashioned from scrap lumber. 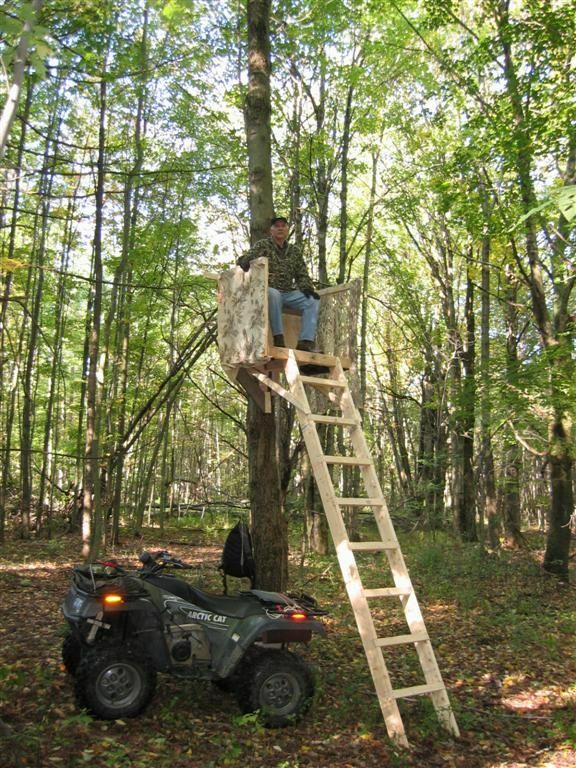 Other extreme versions of homemade treestands include elevated fully enclosed shacks, some even include heat sources. These types of stands are usually seen on private land where deer patterns are well established or over food plots etc.